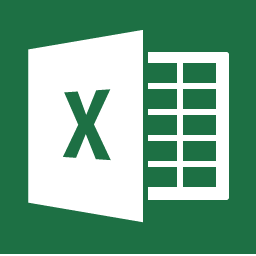 Thanks for using BIM Export to Excel App! To view your BIM 360 Docs files on this app please authorize my Forge Client ID with your BIM 360 Docs Account. To access your BIM 360 Docs files with this app, you need to connect your BIM 360 account with the app. 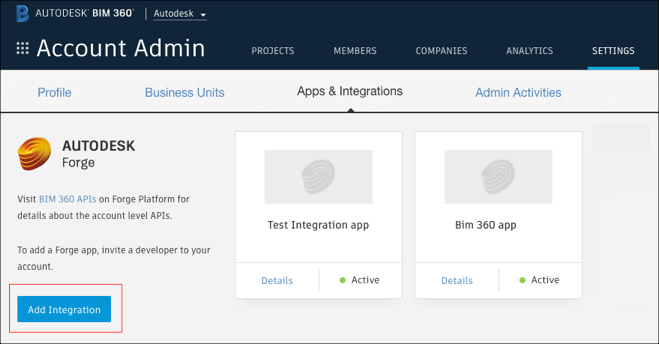 Log in to BIM 360 Account Administration. Note that you need account administrator permissions. If you have more than one account, select the account you want to integrate with the app. From the toolbar, select SETTINGS > Apps & Integrations. Click the Add Integration button. 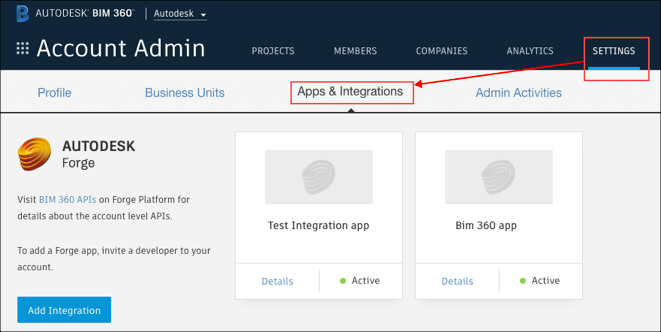 Select BIM 360 Account Administration and BIM 360 Docs, and click Next. Select I’m the developer, and click Next. In the Forge Client ID and App Name fields, enter the Forge client ID and app name provided by the app retailer. 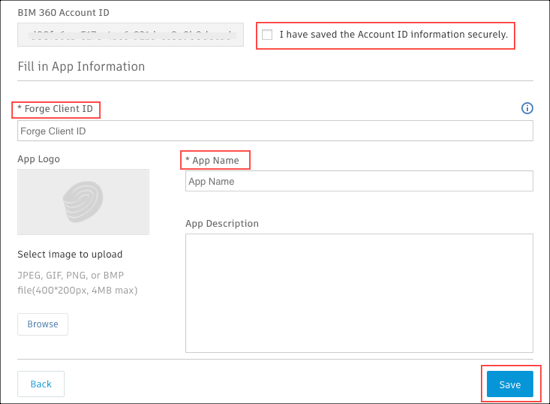 Select the I have saved the Account ID information securely checkbox. Congratulations! You can now access your BIM 360 Docs files. Developed by Forge Partner Development team at Autodesk, Inc. Question? Suggestions? Contact us directly or see our open issues.